The United States is one of the world’s largest markets for gun sales, and beyond the number of firearms that are produced here, many firearms are also imported into the US every year. Over the last fifty years, gun exports from the US have increased by less than 60%, while gun imports have increased by more than 600%. In 2017, Canada and Thailand each makeup for 19% of firearms exports, with Canada rising from 13% in 2016 and Thailand rising from just 6.5%. 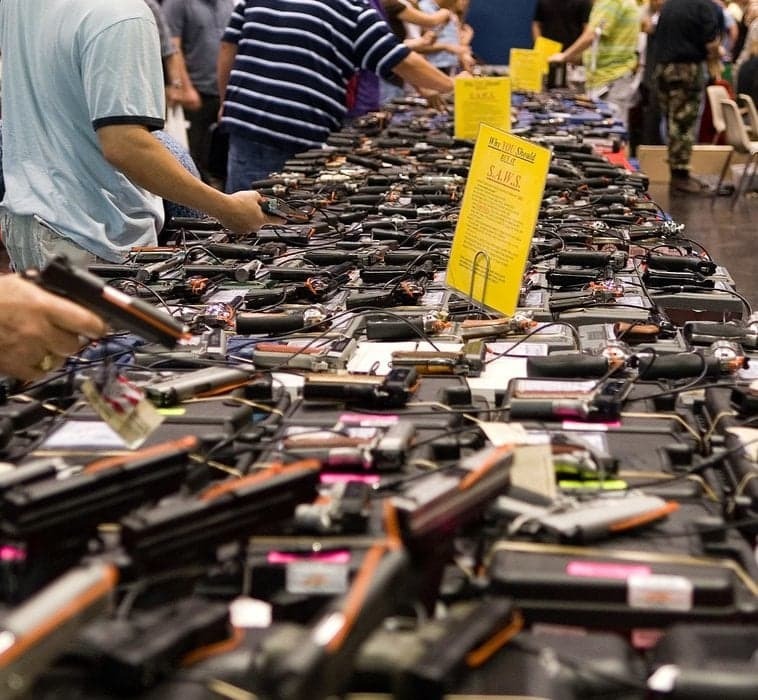 The US is importing a considerably larger amount of firearms to be sold in the country than they are exporting. In 2017, the US was exporting about $121 million worth of firearms and importing approximately $717 million worth of firearms. 60% of the firearms that are imported into the US come from Austria and Brazil, and in 2016 imported firearms consisted of 71.5% handguns, 14.2% rifles, and 14.3% shotguns. Beyond personal firearms trade, there have also been changes in the global arms trade and military spending of different countries. According to the Stockholm International Peace Research Institute (SIPRI), world military spending in 2016 rose 0.4% from 2015 to $1,686 billion, and accounts for 2.2% of global GDP. Global defense spending has been rising again since its last peak of $1699 billion in 2011. The US continues to be the largest exporter in this market, contributing to one-third of the global arms exports in 2016. Most of these exports include air and missile defense systems, aircraft with cruise missiles and other precision-guided munitions according to the SIPRI report. Russia and China are the next largest military exporters, with Russia contributing 23% and China contributing 6.2% of global exports. The US, Russia, and China are also the three largest military spenders, with the US contributing 36% of total global defense spending, and Russia and China increasing their global military spending by 5.9% and 5.4% in 2016. Other areas of the globe that have increased military spending include countries in Asia and Oceania, Central and Eastern Europe, and North Africa. In contrast, oil exporting countries have made major cuts in their military spending because of oil prices, which can be seen with the Middle East decreasing their military spending by 17% overall. For more information on the aerospace and defense industry check out our page here.